If there was any doubt before, the 2008 season has confirmed Felipe Massa as a frontline driver. Truth told, looking at the way the season developed, he probably deserved to win the championship. As Patrick Head said: "Who, a few years ago, would have thought that Felipe Massa would emerge on top in terms of point scoring in a team with Kimi Raikkonen in the other car?" Ironically enough, Raikkonen had a lot to do with Massa's arrival at Sauber in 2002. Peter Sauber had lost Kimi to McLaren, but had been stunned at what Raikkonen did in 2001, effectively fresh out of Formula Renault. He was always going to lose Kimi to one of the big boys, but the Finn had certainly been a nice little earner. Sauber decided to try the same tactic with Felipe, who was still not 21 when he sat on the Melbourne grid in a Sauber as the reigning Italian F3000 champion. It didn't start too well, when Massa and teammate Nick Heidfeld tangled amid opening-lap mayhem. There were flashes of speed and ability but, as perhaps should have been anticipated, Massa was inconsistent and had a tendency to overdrive. Sauber decided that he would benefit from a year of testing in 2003 and he lost his race seat to Heinz-Harald Frentzen. Peter Sauber is one of the most decent, principled and honourable men to walk an F1 paddock, and he did not want to see his gamble destroy Massa's career. Massa had already had a meeting with Jean Todt even before he went to Sauber, and it was now that Nicolas Todt (Jean's son) was deployed to oversee Felipe's development as both Sauber and Ferrari ensured that he got plenty of seat time, before he was put back into a race seat alongside Giancarlo Fisichella in 2004. 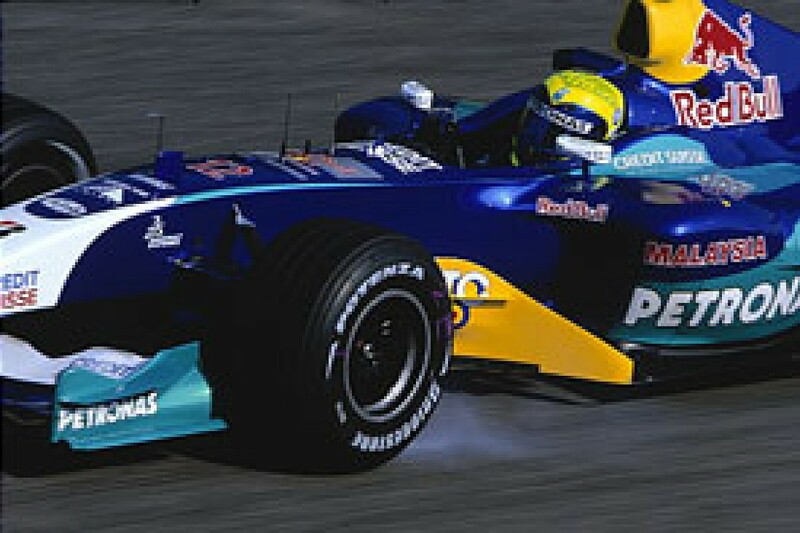 Massa could not match Fisi but, when Giancarlo moved on to Renault, the Brazilian got the better of Jacques Villeneuve, outscoring the former champion and outqualifying him 12-7 over the '05 season. It was enough to convince Ferrari to put him in a race seat alongside Michael Schumacher in 2006. This was make or break. Many thought it was Michael Andretti all over again - an ill-considered decision to go up against the fastest man in the sport. 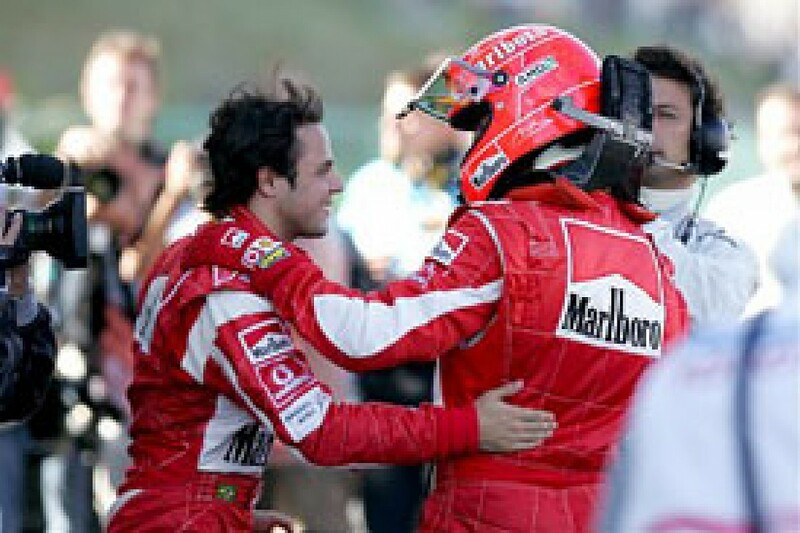 Just as surely as Senna finished Andretti's F1 career before it had begun, Schumacher was expected to finish Massa's. Had it been four years earlier, with Felipe lacking any F1 experience (which was the case with Andretti), that's precisely what would likely have happened. By then, though, Felipe had learned. And he had some good people in his corner. 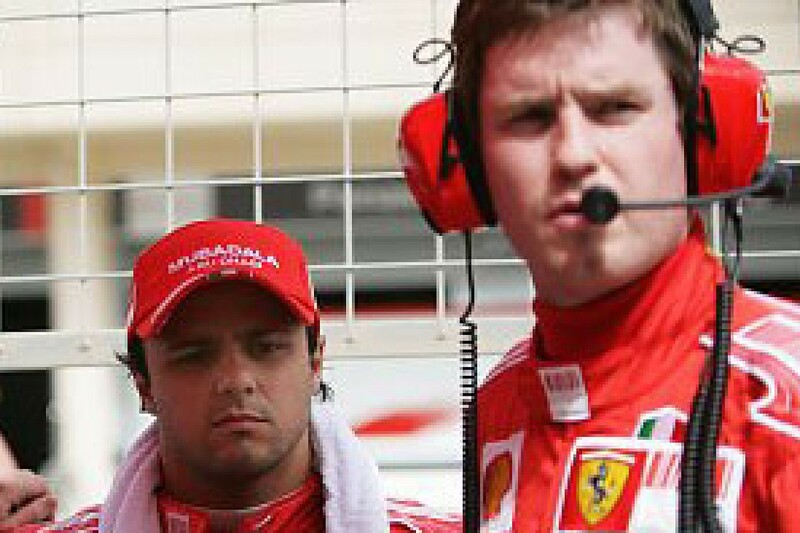 They included race engineer Rob Smedley, who first ran Felipe in a pre-season Bahrain test. "I just hit it off with him," Smedley recalls. "He's a good lad, easy to work with, and you could see immediately that he was quick. The thing about it was, at that point Ferrari were a bit unsure about how complete a driver he was. It was my job in those early days to get his head right, to say, 'Look, you're in a Ferrari, it's a massive step, you've got a seven-time world champion as a teammate, so don't expect to get in the car and beat him.' I think he and some of his people had a bit of an expectation to do that, and I told him he was just aiming too high. "I told him to understand that he was good, to understand that eventually he'd get there after a month or two and to relax a bit more. And he did. He wasn't as complete then as he is now; there was still margin for him to grow and I'm not saying he's complete now. There's still more margin for him to grow, as there is for us all. But by the end of that first season with Michael he was really quick." The way it worked out, Schumacher, instead of sounding the death knell on Massa's F1 career, actually endorsed it. "Felipe was a bloody good teammate for him," Smedley asserts. "Michael ran away with the points at the start of the season and then, as you must do, all the team had to concentrate on Michael. Felipe really had no qualms about doing that. He knew Michael was retiring at the end of the season and he decided he wanted to help him, so he was 100 per cent behind Michael. Michael developed a soft spot for him and I think it helped him to get his subsequent contract." When Schumacher announced his retirement at Monza, he had some glowing things to say about Felipe and also made it clear that Massa had been one of the factors in his decision. Yes, he could have stayed on at Ferrari with Raikkonen - and may now wish he had done since he could have been sitting on nine world titles! - but he didn't want to see Felipe put out to grass. "When I heard those nice things that he said about me at Monza it was really special," Massa reflected. "I'll never forget it." One interested observer was Honda's Jacky Eeckelaert, who had first-hand experience of both Raikkonen and Massa from when he worked at Sauber. Eeckelaert proved perceptive when he said at the end of '06: "It's going to be interesting at Ferrari with Kimi and Felipe. They are both bloody quick. Everyone is assuming that Kimi is going to blow his doors off, but over a lap I don't think there's much in it. Kimi might be a bit more relentless, but I think it'll be tighter than anyone imagines." It was. Although Raikkonen took the '07 championship amid the acrimony between Ferrari and McLaren over the spy scandal, Massa was far from outclassed. He won two of the opening four races - in Bahrain and Spain -and was sublime in Turkey. He finished the season 16 points adrift of Raikkonen, but outqualified him 9-8. And, had Ferrari not inexplicably failed to fuel him for Q2 in Hungary at a crucial stage of the championship, Felipe might have been in it right down to the wire. There can be no doubt that Massa was one of the most improved drivers of 2008. He won six grands prix, one more than Hamilton and, as Jackie Stewart said: "He did a tremendous job. Even last year he was peak-and-valley. One day he was brilliant but every now and again you wondered how he could drive that badly. But you've seen less of that this year. He's a little older and more mature." Smedley agrees: "He's grown up so much and he can now understand how strong he is without the rest of the world having to say it. He's mentally strong and bloody quick. After Budapest he was gutted. He'd come from third on the grid, passed the two McLarens, had ten points in the bag and was three laps from the end when the engine broke. We talked a lot on the phone and turned it into a positive as he came to appreciate what a great race he'd driven, the fact that the performance was there and there was plenty of time left. He came off the back of that disappointment and dominated Valencia with a hell of a drive after we'd done a lot of good preparation in the FIAT simulator in Turin." Smedley says that Massa has developed strongly and adds that, while they surely have a good relationship, Massa certainly doesn't need mollycoddling. "It's a bit of a myth actually, that I have to do the psychiatry!" he says. "I used to hold his hand a bit in the early days but I think now we both support each other." It's been said that Massa got the better of Raikkonen in '08 because Kimi's oversteer style was not best suited to the combination of the Ferrari set-up and Bridgestone's control rubber, that he could not get the best out of the tyre over one lap and hence often qualified on row two or three. From there, with overtaking as tough as it is in F1, his Sunday afternoons were comparatively that much harder, even if he set a whole series of fastest race laps. "It's one factor," Smedley admits, "but if you sit here and list them all, there's probably 20. They are not big things. You have to work on all the details and you have to do it day-in, day-out. After a strong race you can't go back to the factory and say to the lads that work on the car, 'Okay, great, we'll all have a week's holiday.' We go back and look and see what small details we can improve on. And that's what we've done as a long-term project from 2006 onwards. Now it's paying dividends." Unlike some drivers, who remain pretty silent throughout a race, there is quite a bit of radio traffic between Smedley and Massa. "We chat all the time. It's more one-way, me to him, geeing him up, but sometimes we need a bit of information back. We are talking every lap to be honest, in places that don't disturb him. Certainly in Japan, passing car after car, I was giving him the gee-up, a few swear words every so often and a bit of a fillip every now and again!" 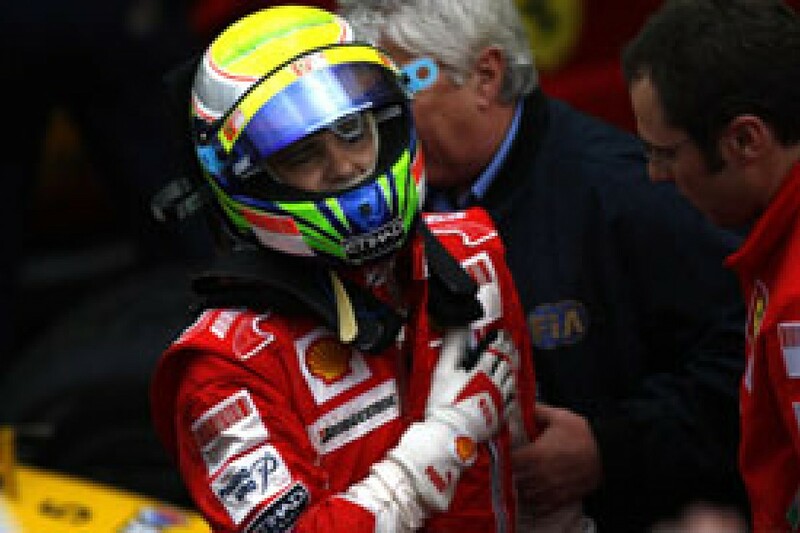 The manner of Massa's championship defeat in Brazil was cruel in the extreme, his hopes having been raised by the knowledge that he was in a position to take the title as he began the season's final lap. "We knew the situation with Glock, that he was on dry tyres," Smedley says. "I didn't expect Timo to be such a problem. I expected more of a problem with Vettel, to be honest. If Lewis had got his act together on the wet tyre I thought he'd get past Vettel. When Glock crossed the line with one to go I thought 12 seconds was enough, especially since the lap before he'd been quickest. It's just motor racing. "I wasn't screaming and shouting at Felipe that he'd won it, then having to say, 'No, you haven't.' You couldn't get too excited about it, especially in my position because there were 1000 people behind me getting excited. So I just talked him through the lap, told him what was happening and that we were in contention to win the championship but that obviously it was going to be very close. I told him some were on wet tyres and some on dries, so we're just waiting for them all to come through. "He was very, very emotional, bless him. At the end of the day they're just young lads, not machines. They are given to emotion and it had been such a long, hard season. Arguably we should have dominated the championship. There's clear times when we lost some very easy points. If you add on the 28 points we lost and put Lewis's on as well, to be fair to both teams, then Felipe should have won by about 15 points." There was Canada, where Massa was robbed of a probable second place by a fuel-rig problem, the engine failure in Hungary, and the Singapore safety car and fuel-hose pitlane dramas when he looked set fair for ten points. There were also below-par performances in Australia and Malaysia but, on balance, fewer errors than Hamilton. As well as his fine on-track showings, Massa grew inestimably with his handling of the Sao Paulo disappointment. He managed to keep the emotion bottled up throughout the podium ceremony - just - and handled the post-race press conferences with aplomb. He was magnanimous and dignified. "I know how to win and I know how to lose," he said. He wasn't wrong. Smedley himself looked quite emotional in the aftermath, as he gave a rueful smile. Looking ahead, he said: "I don't think you've seen his potential yet. Okay, Kimi had him beaten fair and square in China, but on balance I'd say Felipe's used his car better over the year." He doesn't hold, either, with the suggestion that, as F1 goes back to slick tyres next year, with a likely tendency towards a more oversteering car, Kimi could well redress the balance. "It's up to us to have a car that's not like that. Initially the tendency was a bit that way, but we know the reasons why. We've got all the data back at the factory and we're working on how the aero map's going to work, so I don't think that's going to be a problem." Nobody knows how much the new aero regulations will change the status quo, of course, but so long as Ferrari is somewhere close, you can be sure that Massa, a man who now has 11 grand prix wins to his name, will be a threat. The growing pains are over.